We will start our city tour on the famous Malecon (boardwalk), where we will visit some of the beautiful statues that line the promenade. 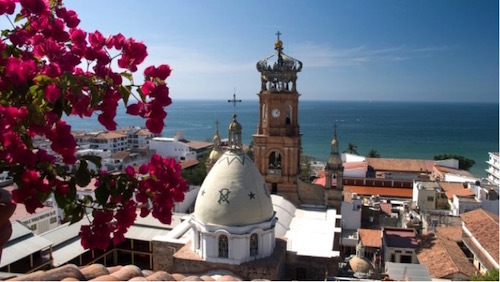 We will enjoy a walking tour of Puerto Vallarta's main plaza and it's most famous landmark, the Church of Our Lady of Guadalupe. Drive through the Romantic Zone to the beautiful south side of the city, where we will see the arches (Los Arcos), and the location where "Night of the Iguana" was filmed. We'll also visit a tequila factory, where you can see how tequila is made, learn how to drink it properly, and even try some unique varieties you probably never knew existed! Please note: Transportation to the meeting location is not included. A representative will help you secure a taxi upon arrival. Estimated cost of taxi to meeting location is . This cost is not included. Transportation back to the cruise ship pier is included. Please note a taxi is required (approximately $10) from the pier to the ATV office and is not included in the cost of the tour. Following completion of the tour you will be returned to the pier by our tour representative.